The International Monetary Fund says it will consider Ukraine's call for financial help and will send a fact-finding team to Kyiv to assess its financial needs. Ukraine's new leader, Arseniy Yatsenyuk, has accused ousted president Viktor Yanukovich of stripping state coffers. 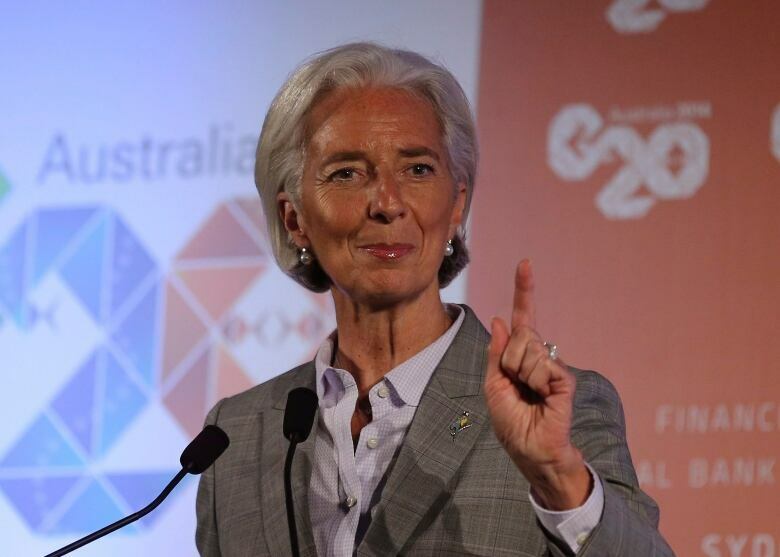 IMF chief Christine Lagarde said her organization received a request for aid from Ukraine. "We are also discussing with all our international partners — bilateral and multilateral — how best to help Ukraine at this critical moment in its history,” Lagarde said Thursday. The World Bank and EU may be among the partners she would consult. It was the first statement from the IMF on Ukraine since the political crisis intensified last week. Managing director of the International Monetary Fund Christine Lagarde says she's sending a fact-finding team to Ukraine to assess its economic situation. (Rob Griffith/Associated Press)​Ukraine is grappling with a record current-account deficit, and has seen its foreign reserves plunge 28 per cent in the past year to $17.8 billion at the end of January, and has experienced a run on cash from ATM machines as individuals take out cash to weather the crisis. 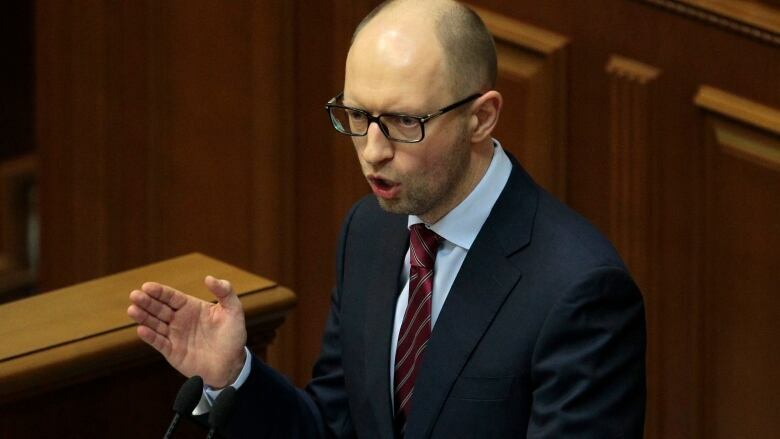 Yatsenyuk​ said in the past three years, 51 billion euros was paid out of Ukraine’s financial system into offshore accounts. As a new interim government takes the reins in Kyiv, pro-Russian gunmen took control of government buildings in Crimea and there were Russian fighter jets patrolling the border with Ukraine. Ukraine had a promise of $15 billion in help from Russia but that's on hold after parliament voted Saturday to remove pro-Russian president Yanukovych. Kyiv has only seen $3 billion of Moscow's bailout cash. Officials say Ukraine will need financial assistance rapidly, perhaps $15 billion this year and $10 billion next year to help pay salaries, pensions and maturing bonds. The EU and the U.S. have offered help, but neither have said how much they are willing to offer. Marta Dyczok, an associate professor at Western University in London, Ont., said the EU may be hesitant to admit a state in financial difficulty to its ranks. “I think bringing the Ukraine into the EU has been debated for a very long time and the EU has been rather lukewarm for a variety of reasons,” she said in an interview with CBC News. Can Ukraine meet IMF demands? While the IMF's Lagarde promised an “independent assessment of the economic situation in Ukraine,” she also said the IMF would begin to discuss with the authorities the policy changes needed in order to get financing. Ukraine has a fraught relationship with the IMF. It previously sought help from the Washington-based fund, but then failed to keep to the terms of earlier bailouts in 2008 and 2010. Negotiations on the conditions for a new IMF loan package are likely to last months, and officials said no deal can be reached before a stable, elected government is in place. Can Russia keep its hands off Ukraine?